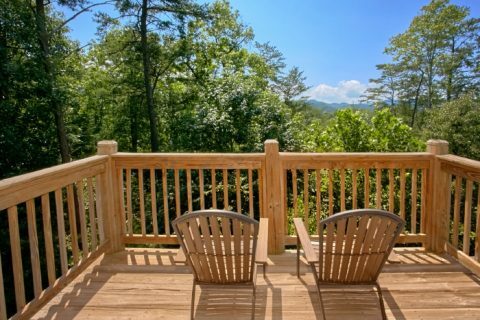 Stay in a Smoky Mountain cabin rental with your family or friends for a vacation you won't soon forget! 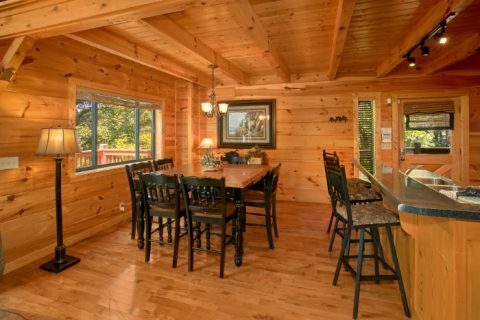 With room for 6 guests, "Bear Necessity" is a two-bedroom cabin that's ideal for a small family or a nice gathering with friends. 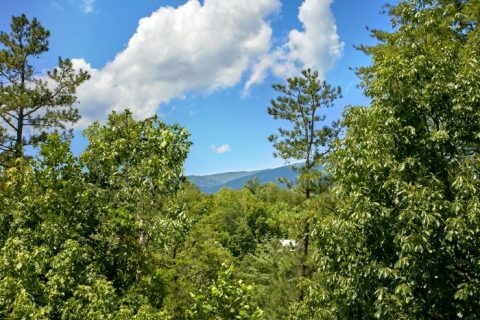 From this rental's beautiful mountain view to its prime location on Wears Valley road, there's plenty to love about this affordable cabin in the Smokies. 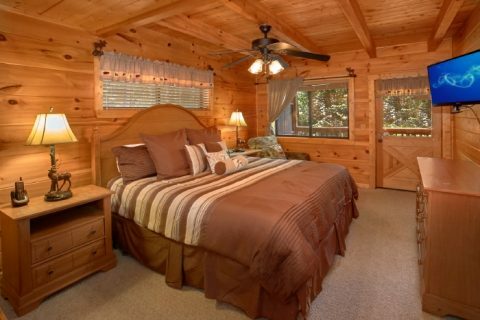 When you're not busy exploring excellent attractions and sights like the Great Smoky Mountains National Park, you can rest and relax just the way you like in your cozy mountain retreat. 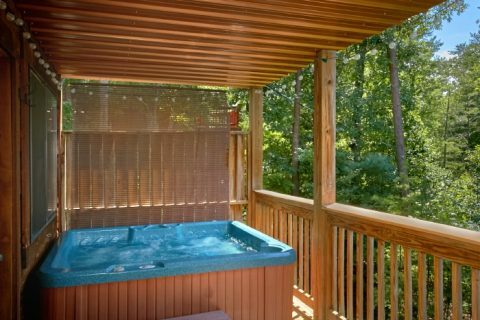 Sink down into the steamy waters of your rental's hot tub on the deck. 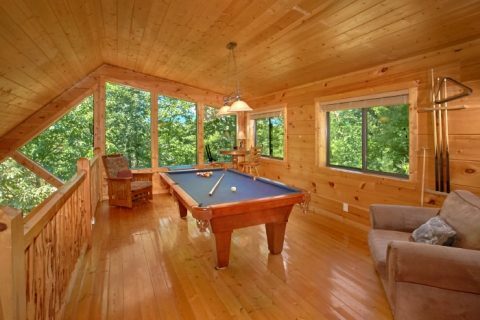 Play a round of billiards in your cabin's loft for some friendly competition. 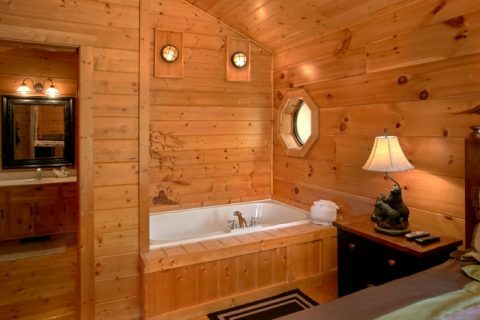 Enjoy an intimate moment in the private jacuzzi tub in the upstairs bedroom's bath. 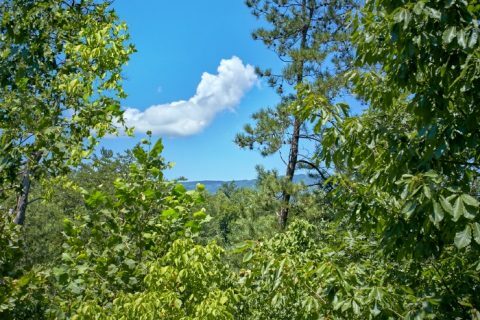 Have a summer cookout with your cabin's charcoal grill and enjoy a tasty meal at the picnic table surrounded by the sights and sounds of nature. 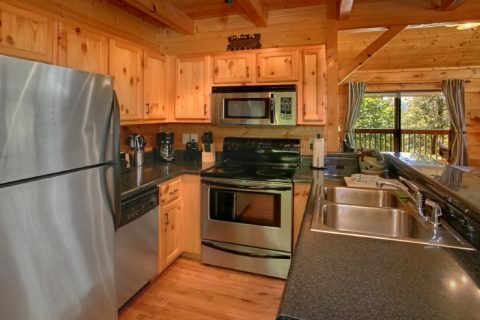 For a really nice dinner, the family chef will enjoy making delicious dinners in your rental's full kitchen with modern appliances and a breakfast bar. 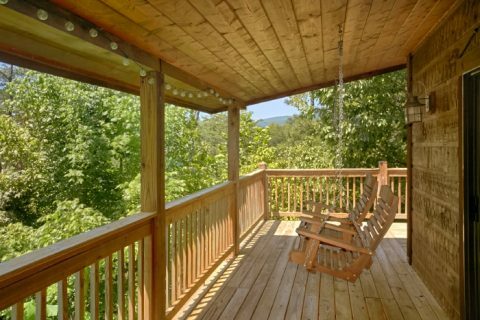 For a relaxing evening in your cabin, sit out on the deck and watch the sun set on another beautiful day in the Smokies. Before long, you'll be able to see brilliant stars in the night sky. 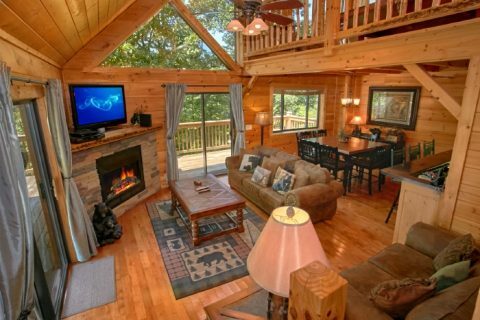 Round out an excellent evening by watching your favorite movie or TV show in the living room with comfortable furnishings and a 50" HDTV above the gas fireplace mantel. 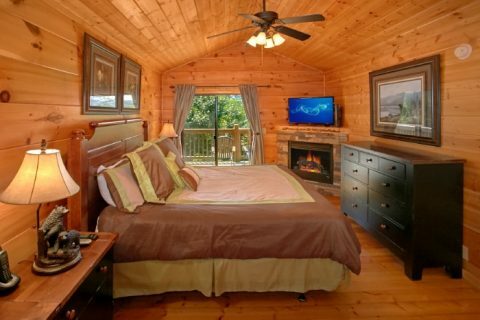 Share pictures of your vacation with folks back home using your cabin's WiFi Internet before turning in for the night. 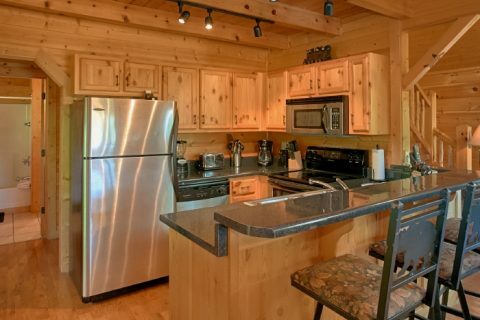 Another nice feature of this cabin is a Washer/Dryer that lets guests pack light during their vacation. 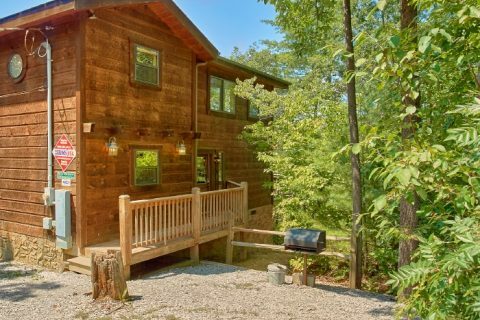 You'll have no trouble unwinding with people you really care about in this beautiful cabin in the mountains. 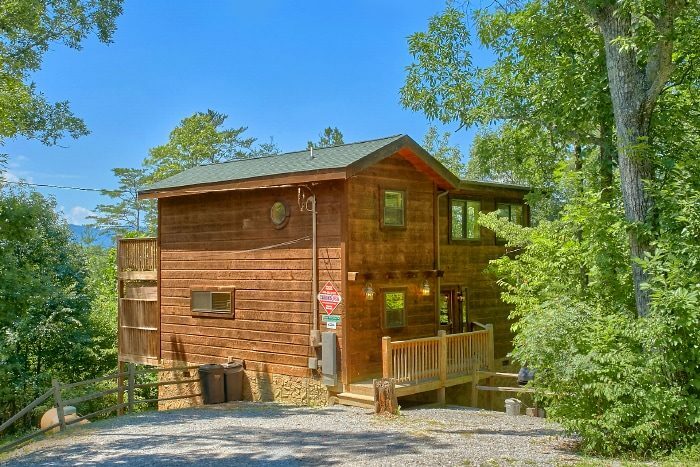 From this cabin's prime location near the region's top attractions to its inspiring mountain scenery, there's a lot to love about "Bear Necessity!" 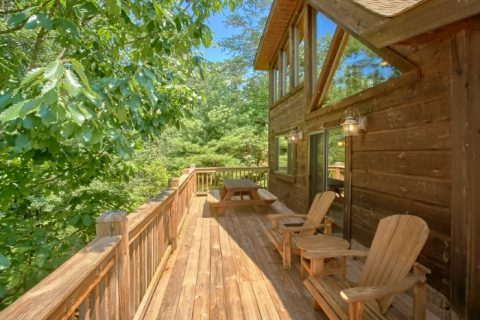 Book your dream cabin online today and save 15% with a special guest discount!